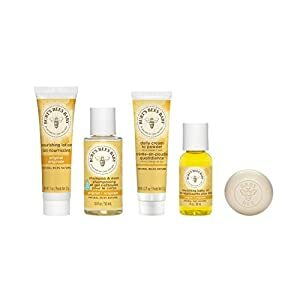 From cleansing to moisturizing to diapering, the Burt’s Bees® Baby Bee® Sweet Memories Gift Set makes a welcome baby gift for a new mom. It contains everything she needs to gently clean her little one’s delicate skin and hair, all bundled in a cute keepsake box, which can be personalized with a photo. This bundle contains an 8 ounce baby shampoo and wash, a 6 ounce baby lotion, a 2 ounce diaper ointment, mini body oil and mini buttermilk soap. 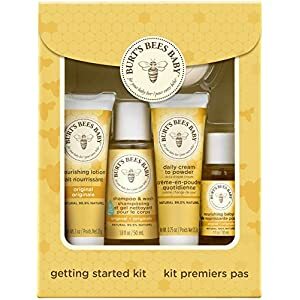 Mom will appreciate that every product in this baby gift set is pediatrician-tested and hypoallergenic with no sulfates, phthalates or parabens. 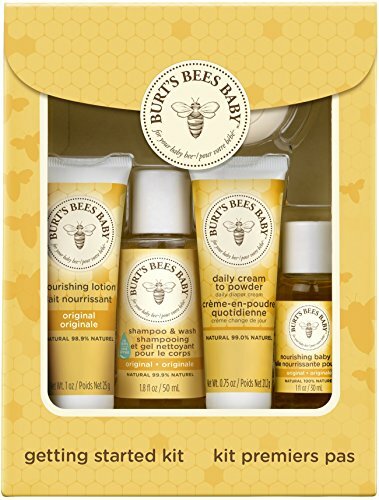 Give your little one a natural start with Baby Bee® from Burt’s Bees.